Here is the fifth and final around the house word of the day. Although this is not a room inside the house it is still an important part. Today’s word of the day is Yard or 마당 in Korean. Thank you for your time and we hope you return soon. Hooray it’s Friday and that means its the final word of the day for this weeks topic “Around Town”. Today’s word is Police Station or 경찰서. 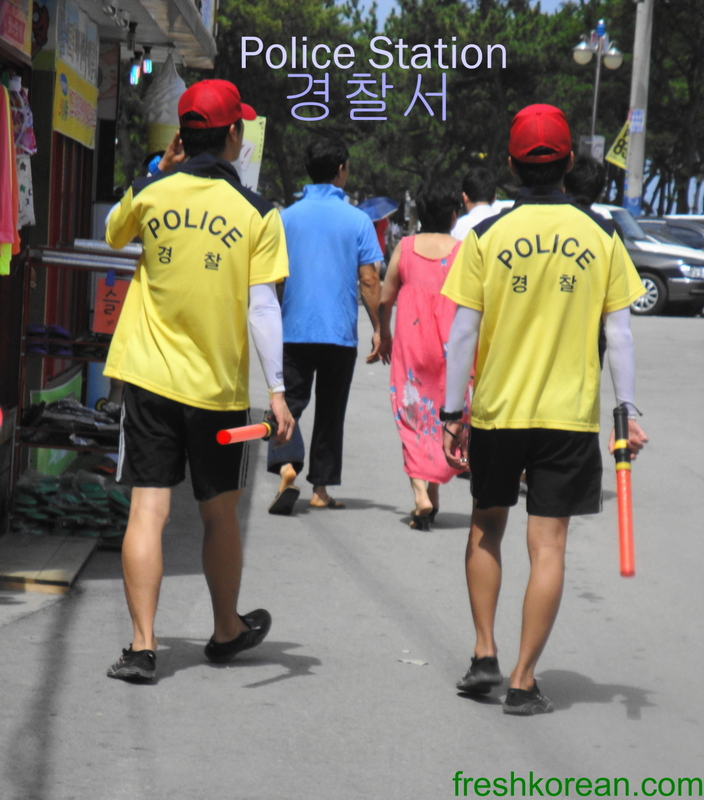 In Korea most Police related places and employees have the word Police on them so its not hard to find without. 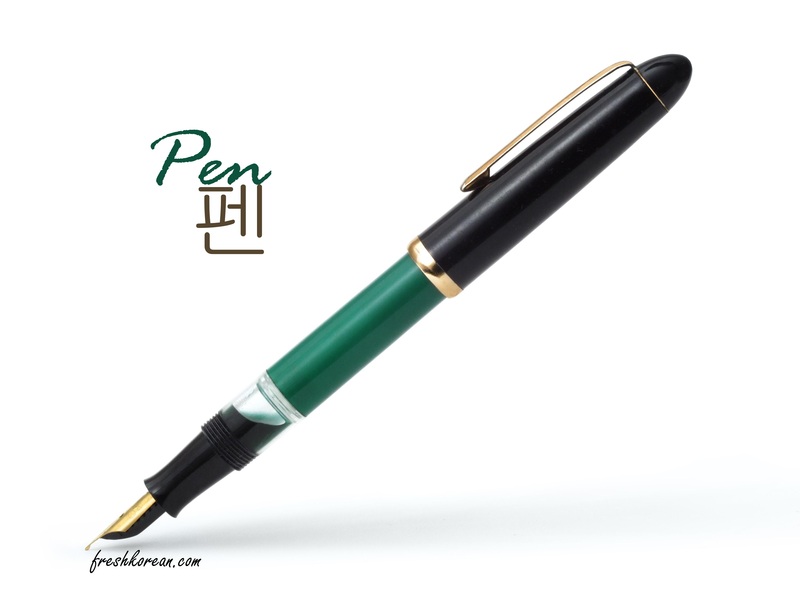 Thank you for your interest this past week and please come back soon for more Korean words of the day. Here is our 5th and final color word of the day. 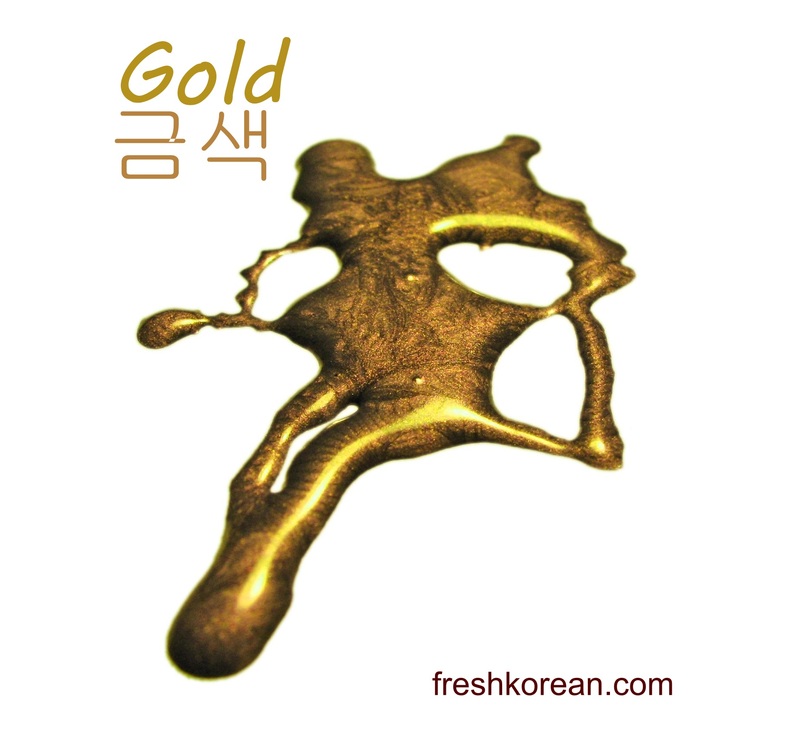 Today’s word has been choosen to celebrate the 7 South Korean Olympic Gold Medalists of London2012 (so far), therefore today’s word is Gold or 금색. Thank you for spending some time learning a little Korean today. 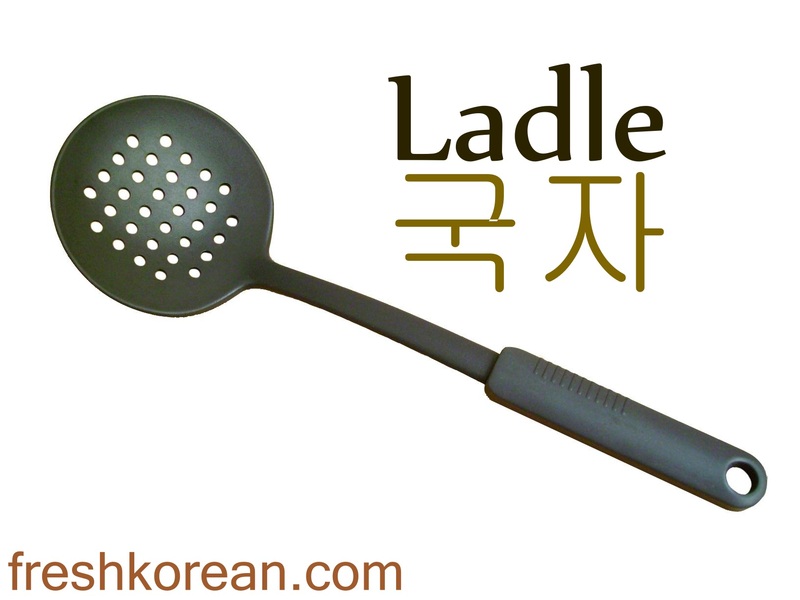 Please come back tomorrow for Saturdays Fresh Korean word of the day. Hooray it’s finally Friday and luckily the Sun is still shining. Due to the fact its Friday that means that it is also Day 5 of the our word of the day week. Today’s word is Waterfall or 폭포. The waterfall in the picture is the 천지연폭포 or Cheonjiyeon Waterfall on Jeju Island. 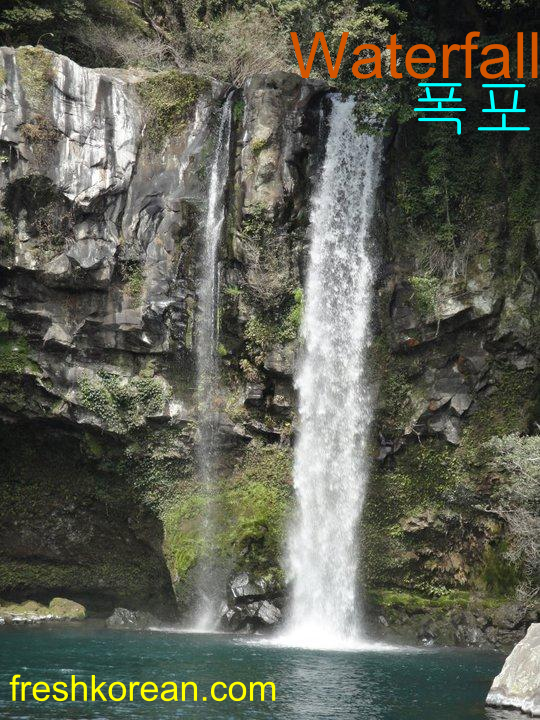 It is one of the most famous waterfalls on Jeju Island and in Korea. 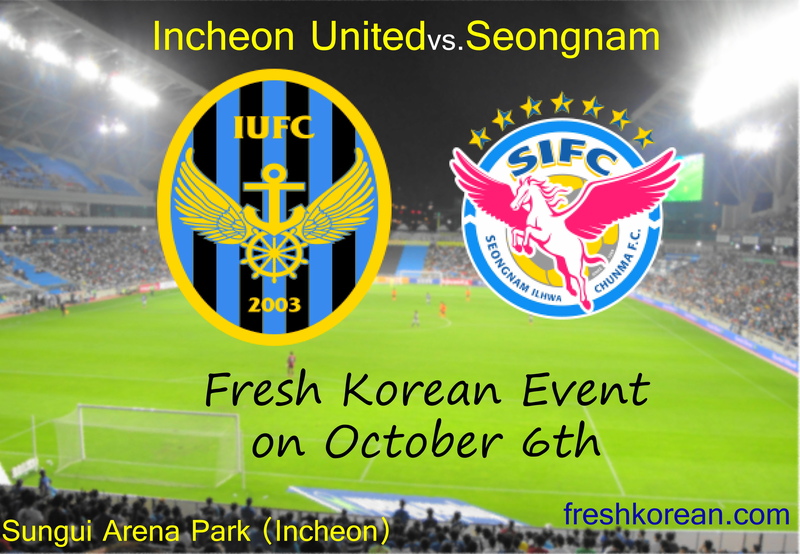 If you want more information please check this out: Cheonjiyeon Waterfall Tourist Information. We hope you have a nice weekend and we hope to see you again tomorrow.